Service Repair Manual Nissan Xterra N50 2005 2006 2007 2008 Workshop Manual pdf download. Nissan Xterra N50 2005-2008 Factory Service Manual is very detailed and contains step by step instructions and repair info. 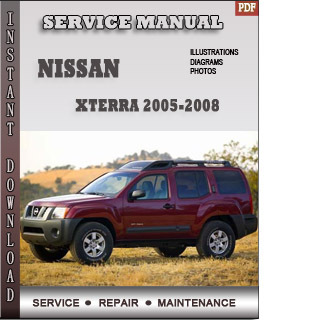 To download Nissan Xterra N50 2005 2006 2007 2008 Repair Manual click on the instant download button, pay with your paypal/credit card and you will receive link to download .